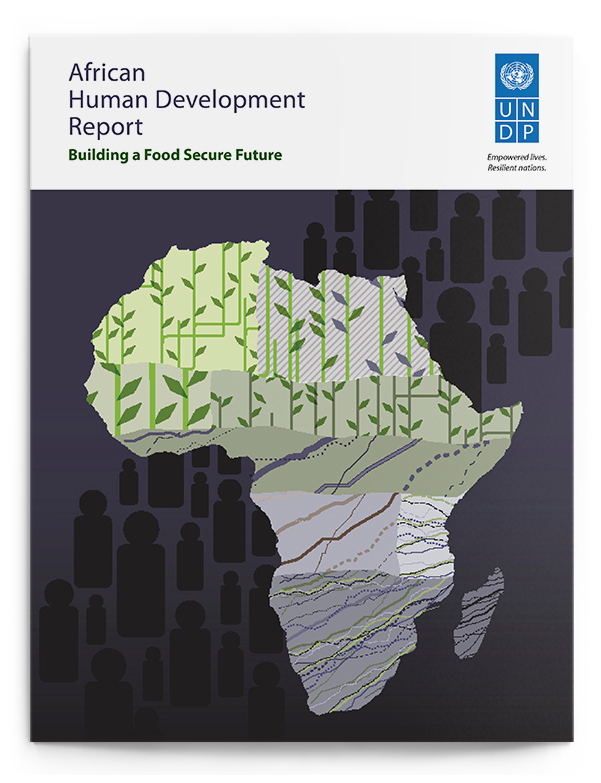 The 2012 Human Development Report for Africa explores why dehumanizing hunger remains pervasive in the region, despite abundant agricultural resources, a favorable growing climate, and rapid economic growth rates. It also emphasizes that food security – the ability to consistently acquire enough calories and nutrients for a healthy and productive life – is essential for human development. We designed UNDP’s first-ever HDR on Africa, with the goal of making the report’s complex data easily accessible through elegant charts, graphs, tables and information graphics. 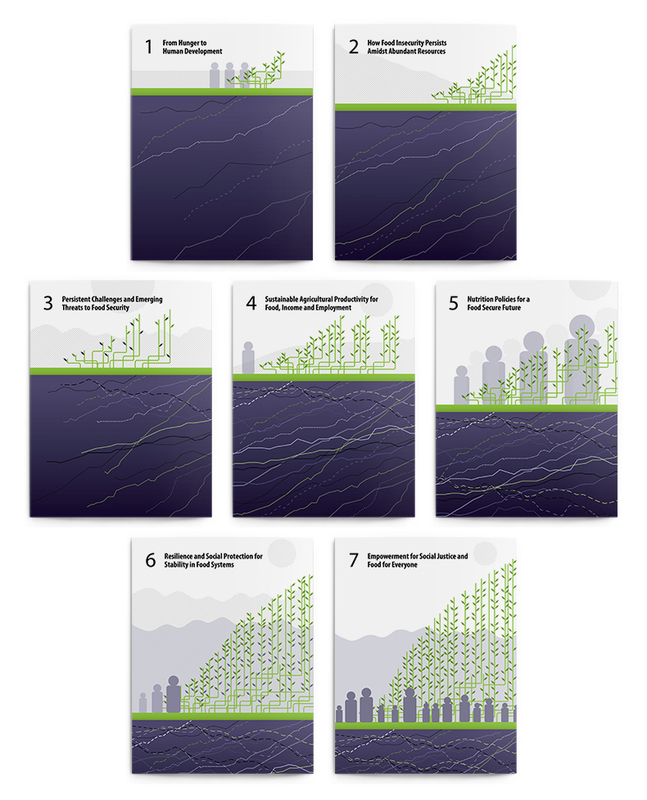 The cover and chapter openers illustrate Africa’s tenuous economic resurgence using elements from the report’s theme and data visualizations.